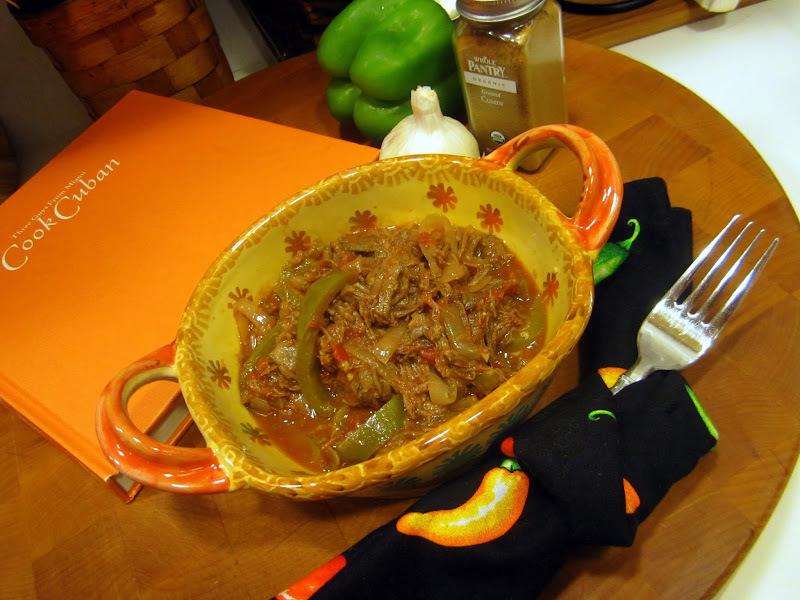 This is a meltingly tender Latin pot roast. It simmers in a delicious broth as the first step of the braise - then the meat is shredded and added to peppers and tomatoes. The BONUS is that one ends up with a quart of the most delicious beef broth imaginable, which you can save for a vegetable soup or our delicious Mushroom Beef Barley soup. So this is a two meal recipe plus leftovers. Saute the onion, peppers, and garlic in 1 tablespoon of olive oil until softened. 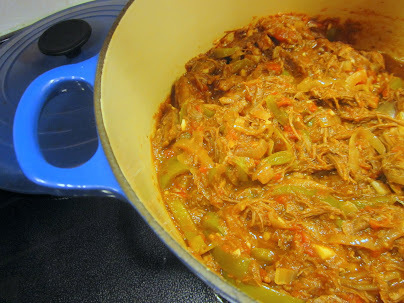 Add the shredded beef, tomatoes, and cumin - season with salt and pepper, and simmer for 45 to 60 minutes, until peppers are soft and meat is tender.